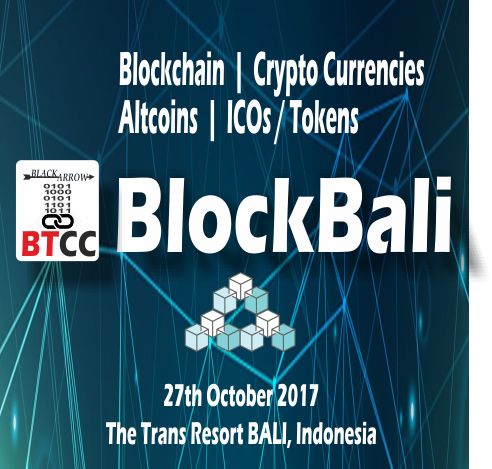 ​Disclaimer for all: This conference is organised for the sole purpose of education to explore the opportunities and challenges in the blockchain and cryptocurrency domain. No portion of this conference or conference website constitutes investment, legal or other advice nor is it to be relied upon in making an investment decision. Our BTCC conference does not constitute an offer to buy or sell currencies or assets. ​About Conference: Blockchain is the most ferociously used technology today and is forecasted to disrupt various industries in coming future. The use of blockchain is building up in India as well. The evolution of blockchain technology in the finance space has been interesting & the potential of blockchain and cryptocurrencies is phenomenal. The decentralised ledger system that blockchain offers can be a faster, cheaper and safer way to transact. China is presumed to be the force driving the success of cryptocurrencies & blockchain technology in Asia, but India – the world’s second most populous country – is certainly fast becoming a significant hub for cryptocurrency activity. Many fintech and e-commerce startups in the country are linking mobile transactions to personal mobile phone accounts given their high rate of unbanked population. ​In this exclusive Blackarrow's BTCC Conference we shall explore the opportunities in blockchain & cryptocurrencies in India. Speakers from Germany, England, Austria, Poland, India, Slovakia & Netherlands will showcase their expertise on Blockchain Technology & Cryptocurrencies. This conference will also highlight how the cryptocurrency industry continues to grow in India & discuss the opportunity for India to become a new cryptocurrency global hub.